Texas became a home to the first Polish settlers in the United States of America who came to Panna Maria (Karnes County, TX), a settlement founded by Franciscan, Father Leopold Moczygemba in 1854. Over the years, Polish immigrants and their descendants spread to many other places of Texas such as Houston, Bremond and many others. Some of the most recent immigrants – including the ones who came to the States in the 80s and later, settled also in the Dallas-Fort Worth metroplex area. 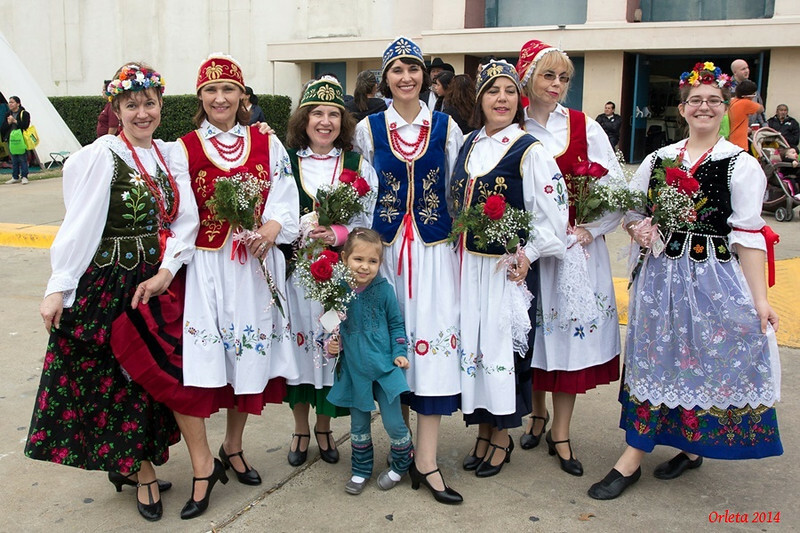 Orleta – the Polish folk dance ensemble of Dallas Texas – was founded by The Polish American Foundation of TX (a nonprofit organization) in 2006. The name of the group is related directly to the national Emblem of Poland (Orleta means Eaglets), and was chosen to honour the young defendants of Przemysl (1918/1921), a city in south-eastern Poland. Nowadays, the dance group consists of twelve members who are amateur dancers of multicultural backgrounds, both Polish and American. Margaret Kochan – professional dance instructor and owner of “A Dance To Remember” Ballroom Dance Studio – is the Artistic Director of ‘Orleta’. Our goal is promoting and showcasing the Polish culture, customs and folklore. However, we are happy to integrate non-Polish citizens of Dallas/ Fort Worth in our activities. 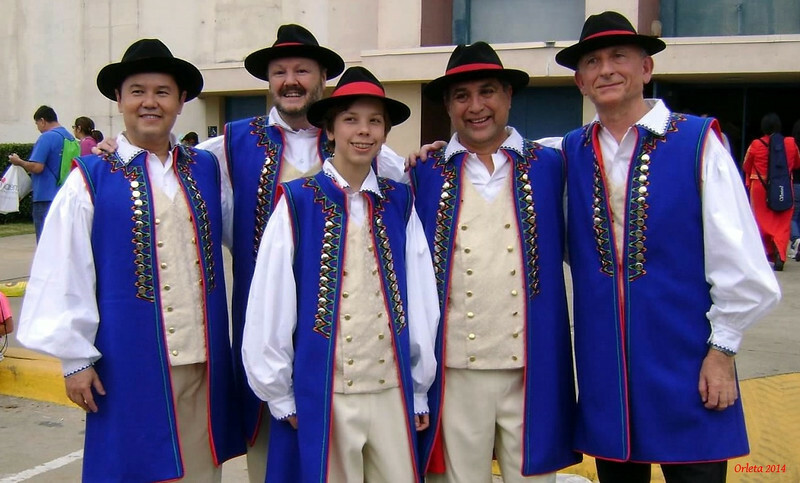 That is why, the Polish Dance Ensemble is the one and only link to Poland to some of our dancers. 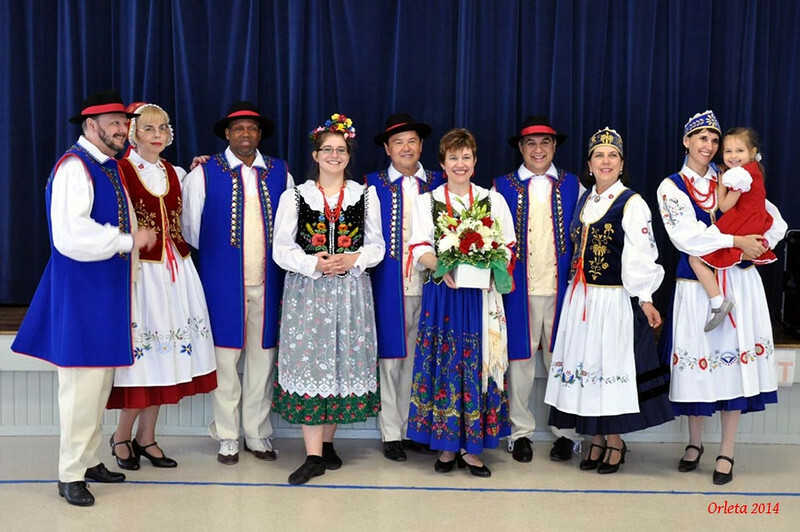 Since Orleta are a division of a nonprofit organization, we are trying to find sponsors who could help us expand our activity (among others, we are working on getting in touch with other Polish communities of Texas) and also purchase new sets of costumes for the dancers of Orleta Dance Ensemble. As a group, we believe that integrating various cultures in the common cultural landscape of the country we live in, helps understand other people and enriches everyone’s personal cultural experience. All in all, it results in creating a better work and life environment. We welcome new members, all the people of our area who are not only interested in the Polish heritage but also the ones who simply enjoy dancing, and would want to be part of our multicultural Polish Dance Ensemble. Visit our website Orleta Dance Ensemble to find out more about Orleta Dance Ensemble of Dallas Texas.